In addition to speed, the Callaway team has placed weights in the front and rear of the driver. This polar weighting raises the club's MOI and gives it tremendous stability on off-center hits. I would recommend this club to all golfers that are adventurous and aren't afraid to dive into the crazy-looking shapes. This club is fun to swing, and the ball jumps off of the face like a cat on a hot tin roof. However, I am a bit more of a purist and gravitate towards the old, boring pear-shaped heads. 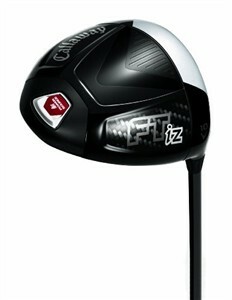 Thus, I like the Callaway FT-9 Tour Driver. The FT-9 is for lower handicappers that like a bit more workability.